Last Sunday (08/09) we had a ball playing Acoustic Gathering in Scarborough. It was a weekend full of great music and a whole lotta fun. We set off from home around 11:30am -12pm with Sam and I travelling with Charl in her car, and Chika travelling with Neil and his girlfriend, Sophie in theirs. With spirits high, Sam, Charl and I hit the road after a false start having left behind Charlotte’s homemade Elderberry cordial (which we ended up forgetting to drink in the end, doh!). The weather was sunny and the drive was scenic as we sped along the M62 and A64 listening to Best Coast, passing such landmarks as Stott Hall Farm (the farm in the middle of the M62) along the way. Sam, understandably shattered from his night shift which finished at 7am, awoke as we neared Leeds and subsequently partook in the G.A. Tetris Competition we were running on my GameBoy pocket which I had dug out the cellar. After mocking my seemingly measly score of 7304, our resident pro-gamer only managed to clock up a score of 5000ish(? ), meaning I had the lead! Unfortunately I had forgotten to record my score on the high-score board, so it was ultimately under scrutiny. I agreed to replay, determined to prove my claim to the Tetris crown but sadly the batteries ran out as I was at the 5000 mark, grrrr! With Charlotte not being able to play as a result, the competition will be post-poned until some new AAA batteries have been sourced. Stay tuned for updates. Once in Scarboro’ it became apparent we weren’t exactly sure where we were supposed to park. After brief umming and ahhing we eventually worked it out, collected our parking permit and beer tokens from t’ticket office and parked up. Charl’s parking wasn’t too hot with the back of the car sticking out half a metre outside the bay ;-), ‘though to be fair the van in front had parked shockingly not leaving much option, plus she had been driving for over 3 hours non-stop so I suppose we should cut her some slack! On entering Peasholm Park I heard someone shout my name…. it was Ernest, a very good friend from my uni days in Scarborough! It was really good to see him, we chatted about how it was 10 years since we started uni, which made us feel pretty old! Ernie kindly put us up for the weekend and we couldn’t have asked for a better host. 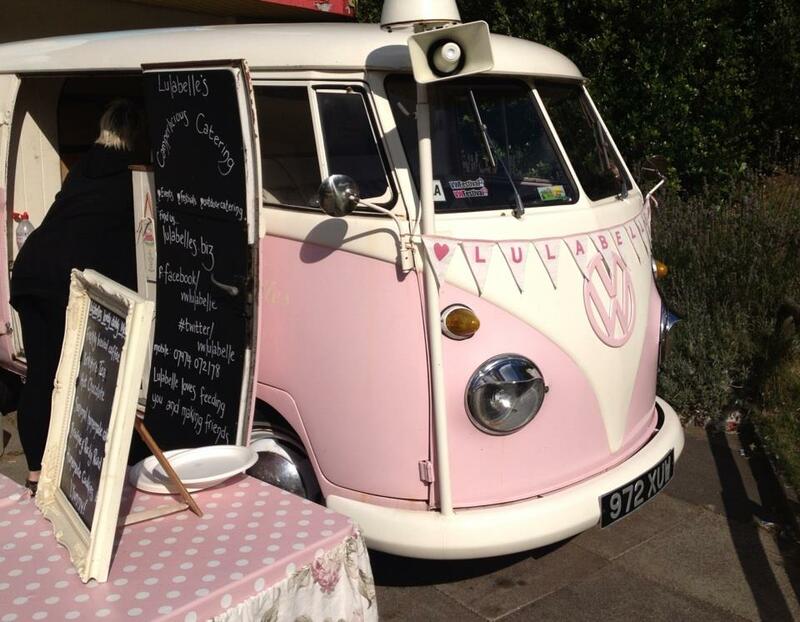 After putting our gear in the safe-tent, buying cake and tea from Lullabelle the VW camper-van, and finding Chika, Neil and Sophie we got ourselves a refreshing pint of Yorkshire Cider etc. and watched some bands. First we saw The Railroad Hobos, who played American Country songs that were reminiscent of those found on the “Oh Brother, Where Art Thou” soundtrack. We also enjoyed the set by the Salsa Band which had people grooving and attracted a good number to watch from their pedalos and rowing boats. Some people’s rowing techniques did tickle us! Soon it was our turn to take to the stage, so we boarded a giant white swan with all of our instruments and headed into the middle of the lake (see video). With sun still shining, pedalos gathering and all number of birds of flying above, we played our songs. I don’t think I’ve enjoyed playing a gig as much, and I think that’s because of the combination of performing in a beautiful setting in a town pretty far away from home which happens to be where I went to uni, with such awesome and talented bandmates/friends. We played really well, and our set went down a treat. It’s pretty amazing to think that we’ve only been playing together as a 5-piece for about a month when we can find time in around work etc. I know I bang on about it to them but I feel dead lucky to play my songs with Chika, Charl, Samir, and Neil, and loved every minute of our Acoustic Gathering performance. Big thanks to Jim Taylor and Ryan Heath for great sound and coordination. And then it was over….. too quickly! We made our way back to the swan who would kindly take us back across the lake to dry land. 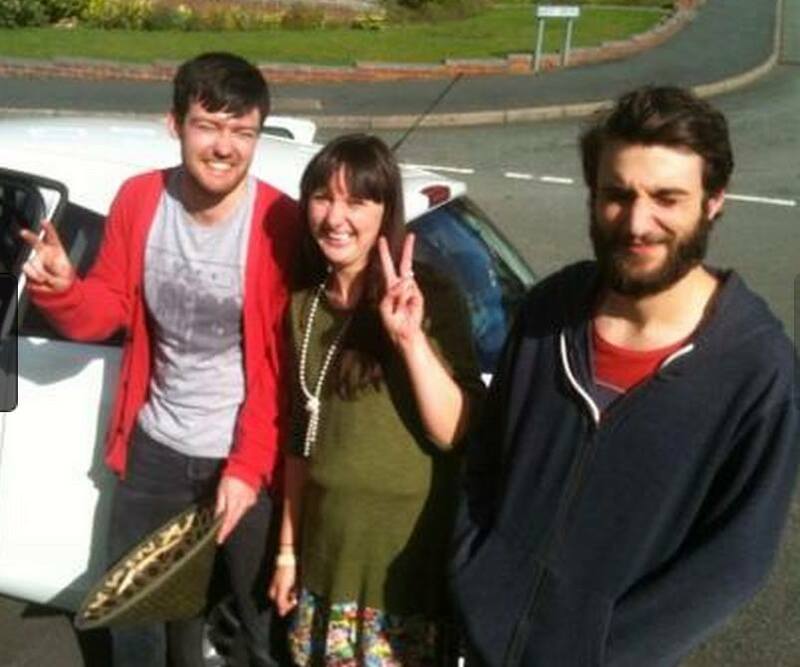 Neil, Sophie and Chika had to depart almost straight away because of work and whatnot so we said our goodbyes :-(. This could technically have been Neil’s last gig with us as he is going into his final year of training to become a Doctor (clever lad!) and will be uber busy. We whole-heartedly wish him all the best for the future. The rest of us went back to Ernest’s with our gear. Ernie these days lives in a really nice flat with a ginormous bay window with sea view and basically a greenhouse for porch with lots of plants and veggies growing. We were astounded when he revealed how much he rented it for, which is a lot less than we expected, and then we contemplated relocating to Scarborough for a while until the taxi arrived. 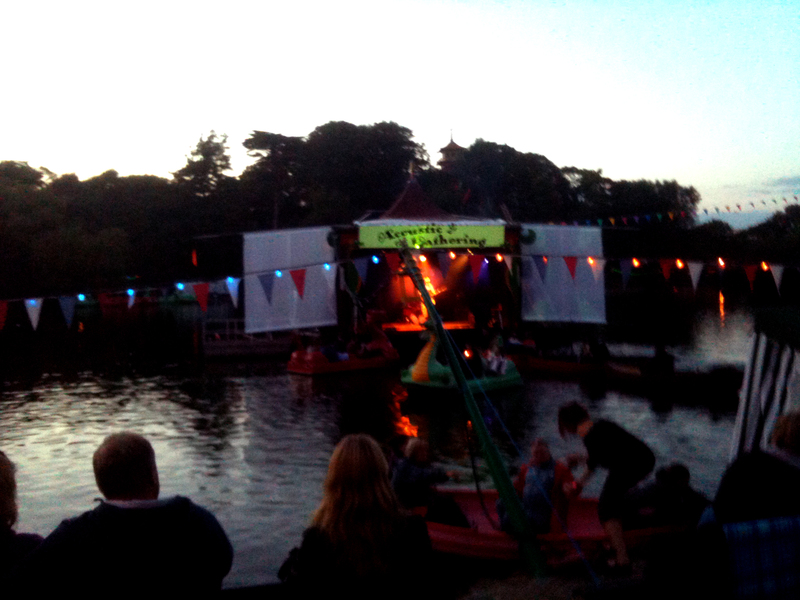 We then headed back to Peasholm Park to begin our sampling of Scarborough nightlife 2013. The park was really pretty by night with the lights and lanterns, projections on stage, and mini fire beacons where the waterfall usually flows on the island beyond the stage, below the pagoda. Real Ale of the festival was Monkman’s Slaughter: a fine dark and malty bitter by Cropton Brewery. We enjoyed watching headline band, The Last Battle, who had come down from Edinburgh to play, before walking into town to find somewhere to continue things, although being Sunday we weren’t sure there would be anywhere open! Much to the annoyance of the others I still had the mini “airhostess” suitcase which I’d used for storing the T-Shirts and CDs we’d brought. The wheels made a right racket as we walked passed the numerous B&Bs that line the way between the park and the SJT, sooorrry to anyone trying to sleep! After bumping into some of Ernest’s many friends along the way (everyone loves Ernie in Scarborough, it’s impossible to walk down the street without someone letting on to him) we settled on going to The Waterhouse, formally “Privilege” adult-entertainment bar (I never went, honest!). The Waterhouse is a music-pub, and Sunday night seems to be party night as local band “Shame On Me” perform there every week. The place was packed as they played cover versions of recent pop choons with a Hip-Hop flavour, featuring guitars and human beat-box/MCs. They were quite young and I think Charl and I may have shown our age by requesting JT / Cry Me A River.. they didn’t know it. Apparently I broke a few glasses whilst ‘in da cluub’……….. it’s all a blur but I do remember Chesney Hawkes spilling one of my beers and breaking the glass mid-snog. When I told him he simply flipped the finger….. nobody I’d rather be, kerrrrrrrrrang. 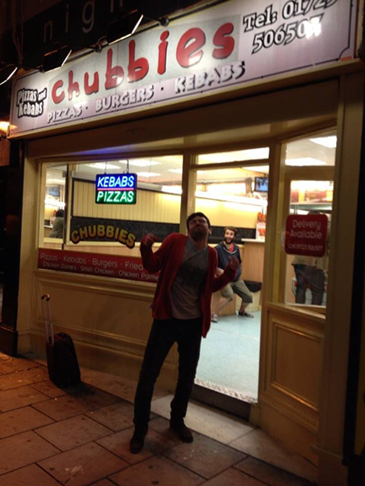 A few beers/broken glasses/gin soda and fresh limes later we head towards the sea front via Chubbies takeaway (see pic). Charl and I had a bit of paddle/splash-war while Sam was apprehensive and this wasn’t helped by Charl chasing him, it was pretty funny watching them run around. Tired out we headed back to Ernest’s where Charl showed off her Duvalay, which by the way is the least portable sleeping bag ever made :-P.
Next day Sam, Charl and I had a very tasty breakfast at Clock Tower Café overlooking South Bay before visiting and rock pooling in the quaint little fishing village of Robin Hood’s Bay, and heading home.